I get the feeling that they changed it because someone thought all that pirate stuff was a little too intense for the family crowd. But eating greasy fast food in an environment filled with jolly rogers and replica weapons didn’t hurt me. It entertained me. 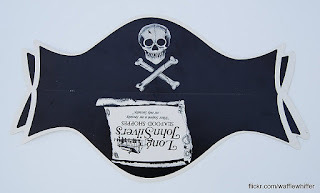 The old Long John Silver’s décor was fun and unique. Now it’s milquetoast. 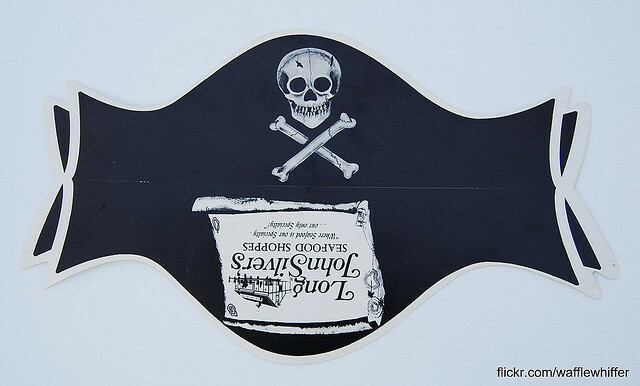 I’m not going to go off on a rant about the nanny state and how we’re raising a generation of perpetual babies but I will leave you with this: Here’s what the paper give-a-way pirate hats used to look like. Someone should be made to walk the plank.